My lovely niece Shelley is getting married this June. Hopefully the weather will cooperate and it will be in the gardens at the beautiful Clay Hill Farm in York (or is it Oqunquit?) Maine. 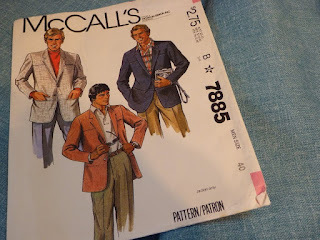 It's been my plan to make a sport coat for the event. I found an interesting 1980's pattern on Etsy that caught my eye and was in my size. I love when that happens. There are no overly complicated pockets, and I'm drawn to its narrower lapels. I was in NYC after Christmas and hit the garment district on a mission. It was a weekday so Steinlauf & Stoller was open. 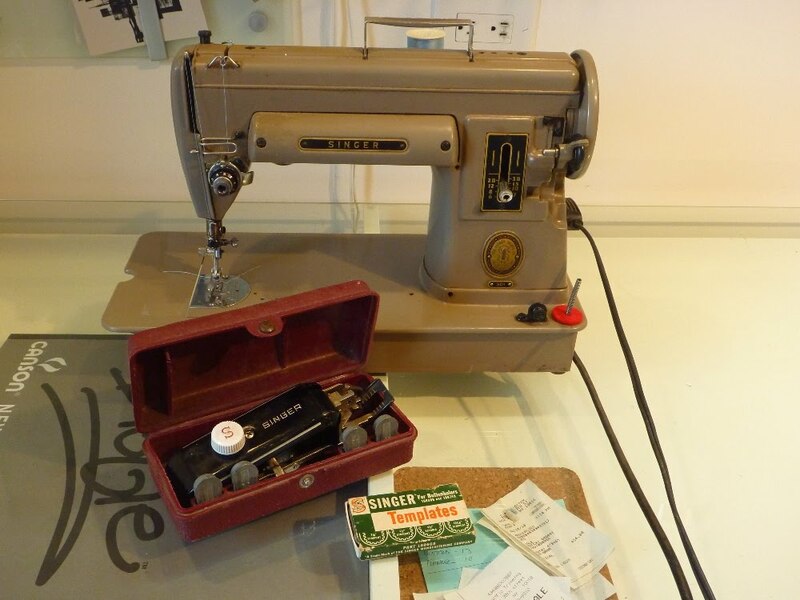 This store is invaluable for anyone wanting to sew menswear. The salesman was extremely helpful. He patiently explained the differences between wool canvas, hair canvas and french canvas. 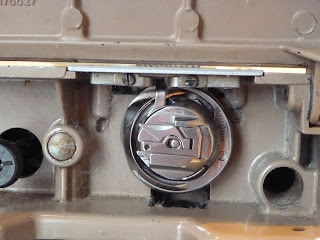 He also set me up with some pocketing material, shoulder pads and sleeve heads. So with a bag full of coat "guts" I went on the search for my jacket fabric. I crisscrossed from W 35th to W 40th finding absolutely NOTHING that said "early summer wedding". My preconceived dream fabric was a silk/wool tweed in a chamois yellow. No such luck, nothing even close. As the afternoon waned and darkness fell I ended up at A & K Fabrics on W39th about 3 minutes before closing time. In the very back of the store I found a bolt of aqua linen/poly blend. Sold. I was feeling victorious for about 2 weeks. Then I found out that the colors of my niece's wedding are aqua and chartreuse. 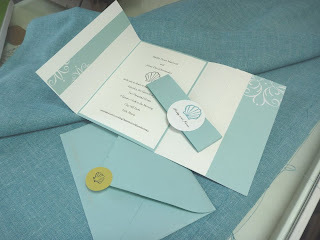 As you can see in the photo my coat fabric coordinates very nicely with the invitations. Hmmm is it appropriate for the gay uncle to show up matching the tablecloths and bridesmaid's dresses? I think that's a big wedding NO. So back to NYC I go. I met up with Peter (always the gracious host) and my Jersey boy/bear Joey. I made a beeline to Gray Line Linen, which in retrospect is where I should have gone from the beginning. This store has everything linen, from fabric to make your own dishtowels to upholstery fabric. 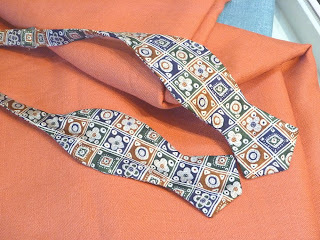 I quickly decided on a terra cotta linen in their Warsa range. The picture really doesn't do it justice. It's currently at the dry cleaners being pre-shrunk and pressed. A new sewing adventure begins. And a huge wedding faux pas narrowly avoided! I'm no longer a virgin. I've actually forayed into the world of patterns and instructions that I can actually read. I decided to participate in Peter's (of Male Pattern Boldness fame) shirt sew-along. 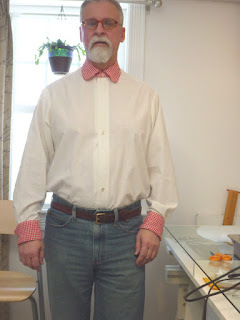 His selected shirt, the Negroni by Colette, really wasn't my style, so I found a vintage 50's dress shirt pattern on Etsy. Butterick 2124. It features both a buttondown and tab collar, long or short sleeves and a guy smoking a pipe! What more could a Daddy want? I picked up some shirting at Denver Fabrics. They have a huge selection at great prices, but absolutely the WORST pictures on their website. If you're trying to match a color, or have something very specific in mind I wouldn't recommend it. 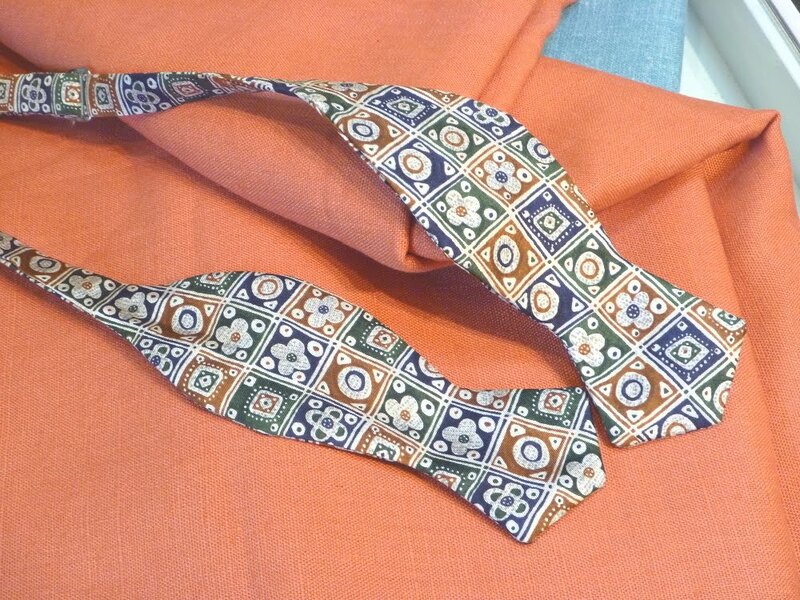 For this project, however, my fabric came quickly and was pretty much what I anticipated. In fact, the quality of the fabric ended up being better than any shirt that I own, most of which come from either Goodwill or the clearance racks at Kohl's. I won't go into all the gory details of my shirtmaking experience, it's pretty well documented in the Flickr group that Peter set up for the project. I ended up working my way through 2 fitting muslins. Men must have been built differently back in the 50's. My pattern was made for a barrel chested brute with the arms of a gorilla and a skinny neck. I shortened the sleeves by over 1 inch, took almost 5 inches out of the circumference and did a sloped shoulder adjustment. 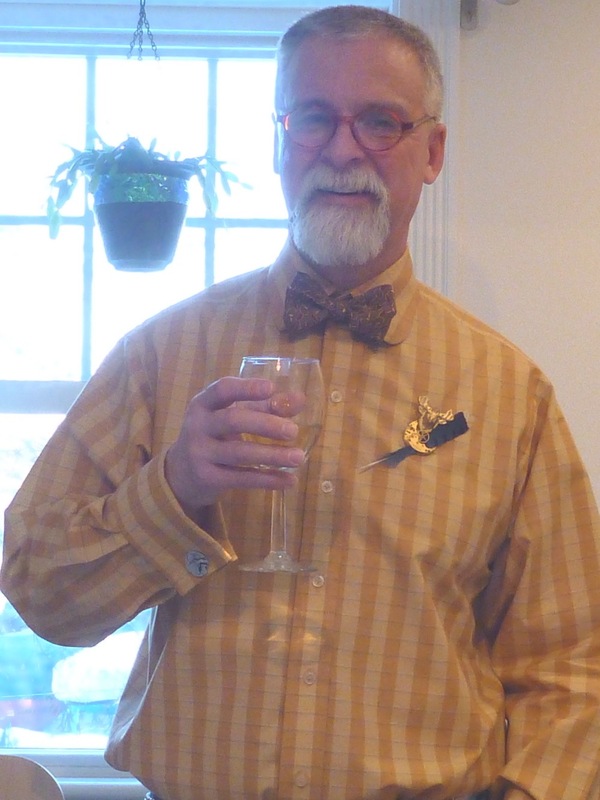 With the help of David Page Coffin's book Shirtmaking I was able to draft a French cuff. Now I have a way to wear the amazing steampunk cufflinks that my daughter gave me for Christmas. 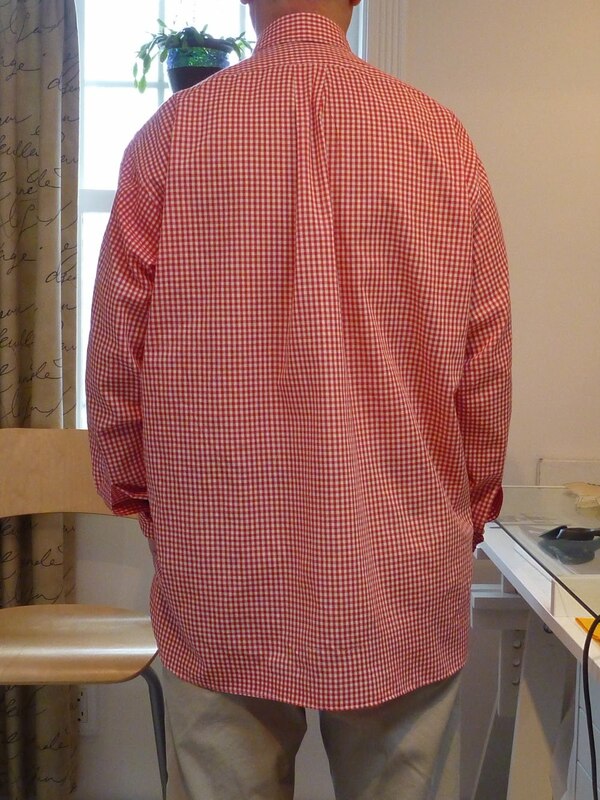 Perhaps the best part of the shirtmaking exercise, however, is that I now have a "Go To" shirt pattern the next time some fabulous fabric comes along just screaming my name. 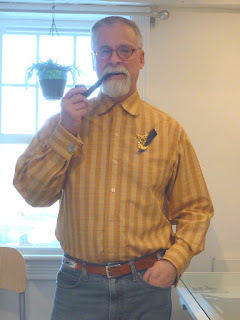 My fingers did the walking through the Yellow Pages and I found Mr. Klaus Heimann in Damariscotta, Maine. He answers his phone "sewing machines fixed." He lives in an apartment filled with books, vintage sewing machines and cat hair. Warning, Don't let the cat out! He loved my 301 and did a great job getting it put back together. He even rewired the foot pedal. 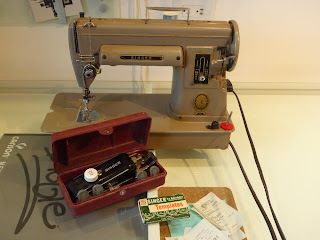 While I was at it I also brought him my Bernette 4 thread serger which hadn't been fully operational for years. Now it does a safety chain stitch and trims and overcasts the edge in one operation. I don't use it often, but it's nice to know that it's available. I guess it's time to sew something. Stay tuned.